Openings for congregations to join the program! Please contact us for details. All faiths are welcome. The Program serves 6-8 dinner or lunch meals per month, near the end of each month when guests’ funds may be running low. 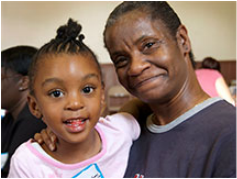 Of our member congregations, two serve meals at their home site, the others serve at a church in downtown Cleveland, and at an apartment building for seniors and people with disabilities. Our downtown congregation makes an additional in-kind donation to the program by allowing these multiple meals to be served from their facility. Attendance at each meal ranges from 35 to 100 guests, depending upon location and date. In 2018, over 3,900 guests received nutritious meals. Download a ﻿calendar of meals﻿ and a map of locations. 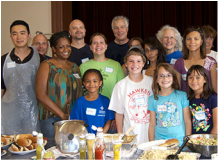 Each of our member congregations plans their own menu, recruits volunteers, organizes meal prep and handles delivery, cooking, serving and clean up. Many congregations have been members of this Program for over 20 years and it’s an established part of their community outreach. Every meal averages 6 to 15 volunteers, depending upon location - in 2018 over 100 volunteers took part. There are many ways to participate and a variety of time commitments; talk with leaders at your congregation for more information. Congregations interested in joining the program may contact our Coordinator Anne Pillot. Meal guests include seniors, young children and families. 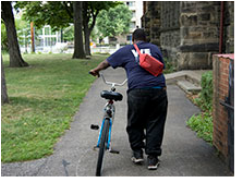 Guests arrive by bus, bicycle, wheelchair, car or on foot and include those working and unemployed. Most guests are not homeless, but are dealing with economic challenges. In the "To" field, select "Community Meals"
Questions? Contact Anne, our coordinator here. 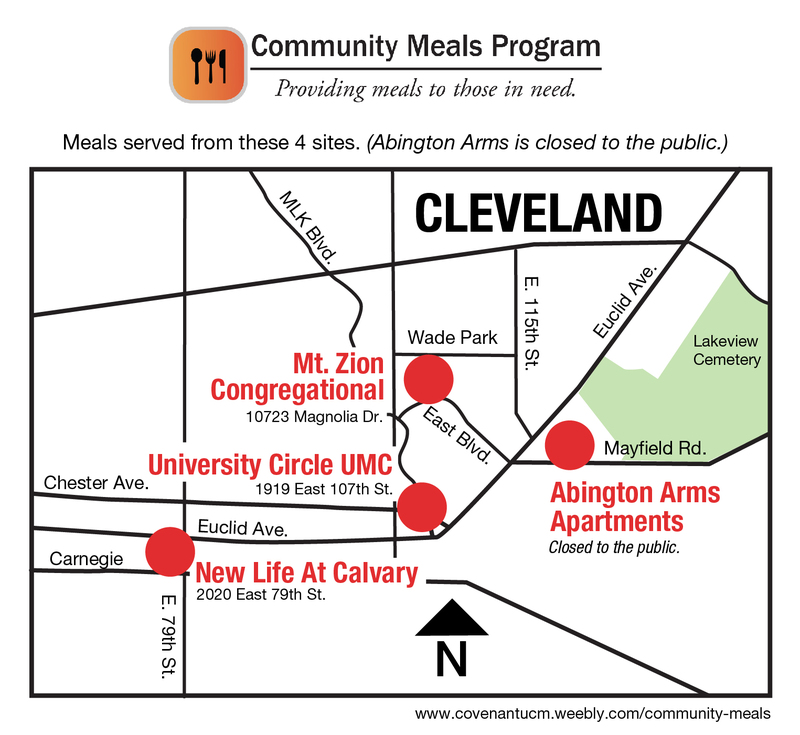 The Community Meals Program is an interfaith organization whose roots reach back to the 1960s in the Euclid-University Cluster of Religious Institutions. 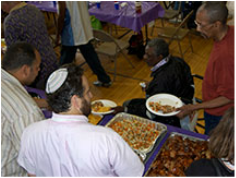 In 1990 the Cluster became the East Side Interfaith Ministries, later known as InterAct Cleveland, with member congregations serving monthly meals. 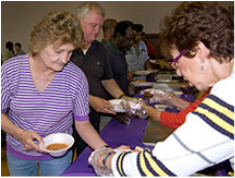 In early 2012, InterAct closed and its Community Meals Program moved to Covenant University and Community Ministries (CUCM). Founded in 2010 by The Church of the Covenant, CUCM is an independent 501c3 that provides a home for programs that reach out and engage both university students and the larger greater Cleveland community. All donations are tax deductible.